There are so many craft beer festivals taking place across the country these days that if we were to run stories on all of them, you'd read nothing else on The Crafty Pint. So, for the most part, we give them a home in the Events Diary unless they come with enough novelty to warrant hitting the news pages. 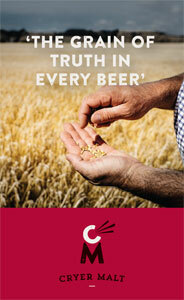 And novelty is certainly something possessed by Free The Hops. Pitched as the Gold Coast's first craft beer festival, it borrows from the beer week concept as it features an event a day over 11 days at venues of varying degrees of craftiness. Given the concept of such a craft beer festival on the Gold Coast would have been unthinkable not long ago, James Graham found out why it's happening now. The Gold Coast is preparing to welcome its first ever craft beer festival. Over the course of 11 days, revellers will be able to soak up the city’s burgeoning craft beer scene. The driving force behind Free The Hops is Michaela Fitzgerald, owner and director of La Rouge Events. Michaela’s inspiration for the festival comes from travelling the world, spending time in the USA, Asia and England, working in hospitality and tasting beer as it should be. Armed with these experiences, and a taste for non-industrial beer, Michaela says she's been planning a Gold Coast craft beer festival for more than three years. “I have been waiting for the venues and the Gold Coast to catch up with the rest of Australia, and I feel the time is now,” she says of her decision to launch Free The Hops now. She's put the festival together with assistance from the participating venues; after contacting the majority of craft beer bars in the area, Michaela found the landlords were more than prepared to contribute to the running costs. The consensus was that the risk associated with such a venture is pretty darn low given the changing attitudes of Queenslanders towards beer. The Gold Coast, however, has turned up fashionably late to the craft beer party, despite being home to one of the country's biggest craft brewers, Burleigh Brewing, since 2007. 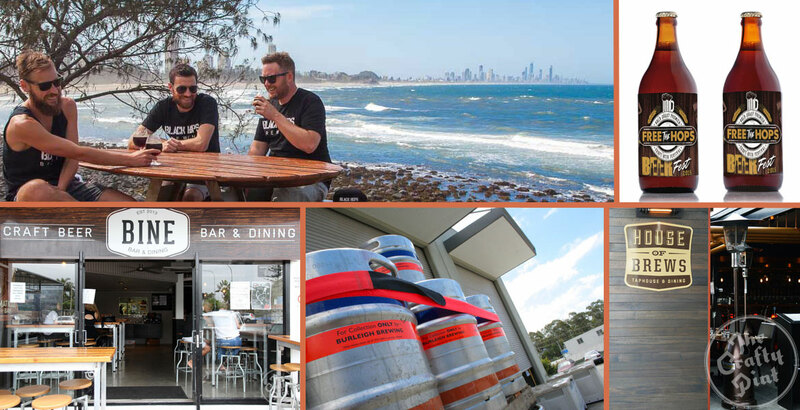 One of the earliest venues to embrace better beer locally was Ze Pickle, home of award-winning burgers and local and international craft beer in Burleigh, and that only opened its doors in October 2012. Catching the craft beer wave a year later was Bine Bar and Dining, which hosts Free The Hops' opening event. Owner Scott Imlach says: “We were one of the first craft beer bars in this area but 2015 has seen a huge increase in craft beer establishments here." More recent additions to the Gold Coast include Lester & Earl in Palm Beach, an American smoked BBQ restaurant that has 12, continually changing, craft beer taps that usually include a selection of local Queensland breweries such as Fortitude Brewing, Noisy Minor, Green Beacon and Newstead. The wave has swept inland too, as far as the quiet suburb of Southport. Here, the pint-sized bar Not Tonight may only have two taps, but they compliment this with a broad selection of bottled Australian craft beers such as Feral, BrewCult and Cavalier. “The Free The Hops festival is a great idea that will help generate interest in the craft beer scene on the Gold Coast," says Scott as he prepares to launch the festival at his Nobby Beach bar on October 15, which will feature a preview of the next Stone & Wood Mash Collective release. This collaborative project from the Byron Bay brewery brings together like-minded individuals to design and brew a limited edition one-off beer, with five kegs secured for the Bine Bar event. 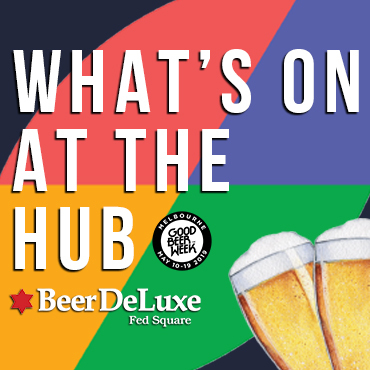 Other events on the Free The Hops calendar include a degustation starring Newstead Brewery at Cambus & Wallace, speed dating with brewers at Ze Pickle and a live brew by the Gold Coast’s Black Hops Brewing at Lester & Earl. Anyone planning on attending the festival also has the chance to pre-design a Free The Hops beer. This can be done by voting via this form for elements such as name, colour, style and flavour combinations, which must include honey from Super Bees or freshly picked strawberries from Pimpama. Black Hops will then create a single keg of the beer that will be tapped at Ze Pickle on October 20 during their speed date event. Free The Hops runs from October 15 to 25. Other participating venues include House of Brews, Etsu and the soon-to-open The Institution, all handpicked, says Michaela, based on their reputation for serving craft beer amid the Gold Coast's more typical backdrop of wall to wall pale lagers. For details on the festival, head to the website. James Graham is a recently relocated Scottish expat, a scientist and a writer who enjoys good quality craft beer to keep him cool and sane under the scorching heat of a Queensland sun.